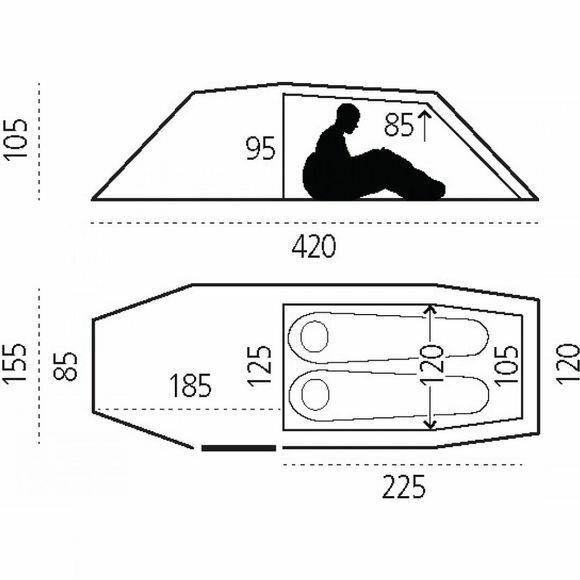 A spacious and stable four-season tunnel tent with full height in the inner tent and the extra large vestibule. This makes for comfortable tent life and makes it easier to spend long rainy days inside. 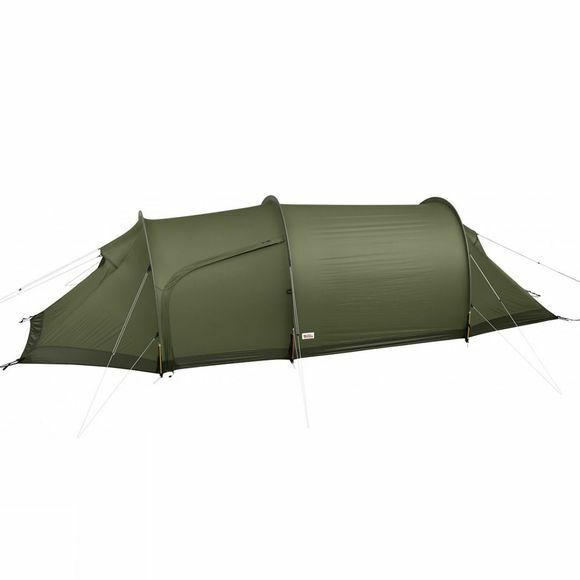 The Abisko Endurance 2 Tent is perfect for those who want a low-weight yet still strong and reliable tent, for four-season use in all conditions but the most extreme. The vestibule has plenty of room for storing gear and cooking. The entrance is on the side making it easy to use the space well. There is a clothes line in the vestibule and the inner tent, that also has practical net pockets for small items. The inner tent and flysheet are raised together. Pole sleeves are colour coded and big enough to accommodate double tent poles (an accessory) in exposed conditions. Large, well-placed vents give excellent airflow. All openings are covered in a fine mesh that keeps out even the smallest, barely visible insects. In warm conditions the door can be fastened in a half-open position – the zip has an auto-lock function so the wind can't force it to creep open – for extra air circulation without rain getting to the inner tent.